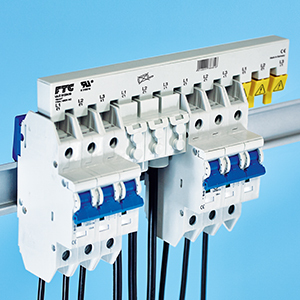 UL489 Busbars assure secure wiring of UL489 Miniature Circuit Breakers. Busbars are Pre-Cut for fast and easy installation. Feeder Terminals and Accessories fit any mounting configuration. Wiring errors are eliminated and potential for hotspots are greatly reduced.